EMR Software Overview – Medical Billing Solutions, Inc.
By combining your PM and EMR software together with our medical billing service, your practice is able to reduce your overall costs and gain peace of mind that your support will come directly from Medical Billing Solutions, Inc.
Harris CareTracker, an ONC Certified HIT 2014 Edition Complete EMR and is also a CCHIT 2011 Certified Ambulatory EMR that integrates fully with all the operational functions of the practice, helping you to achieve greater efficiency through smoother day-to-day operations. This simplicity strengthens the patient-physician experience, improves quality, and reduces costs. 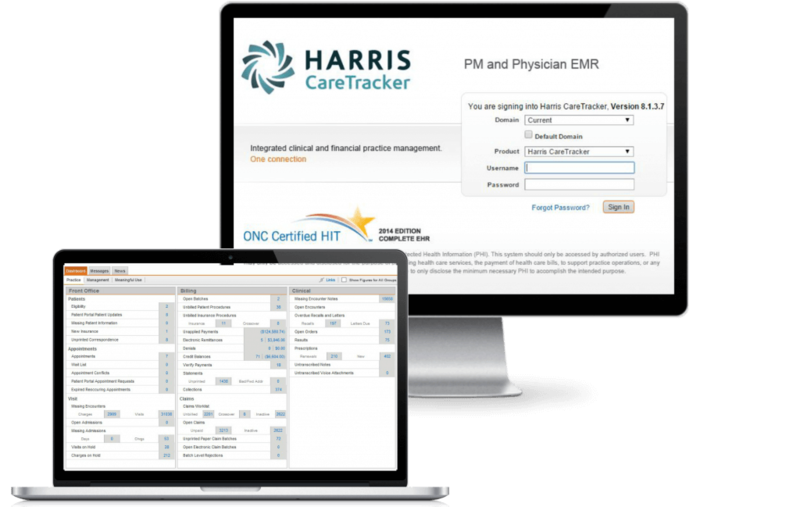 Harris CareTracker offers attractive economics that facilitate essential improvements within your practice and is guaranteed to meet meaningful use requirements. Medical Billing Solutions, Inc. has been a certified channel partner for Harris CareTracker since 2009. 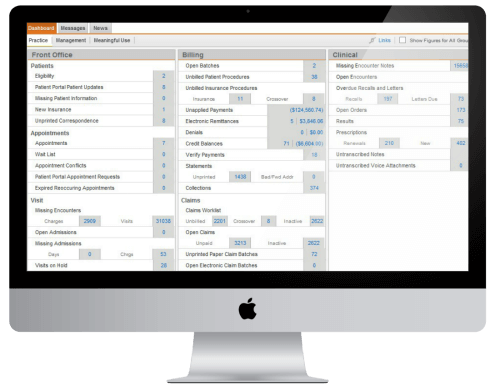 Simplify practice management and boost efficiency with our cloud-based medical billing solution. Harris CareTracker is an application that helps your practice achieve greater efficiency by streamlining your administrative workflows while monitoring that you are paid accurately and on time for all the work you do. 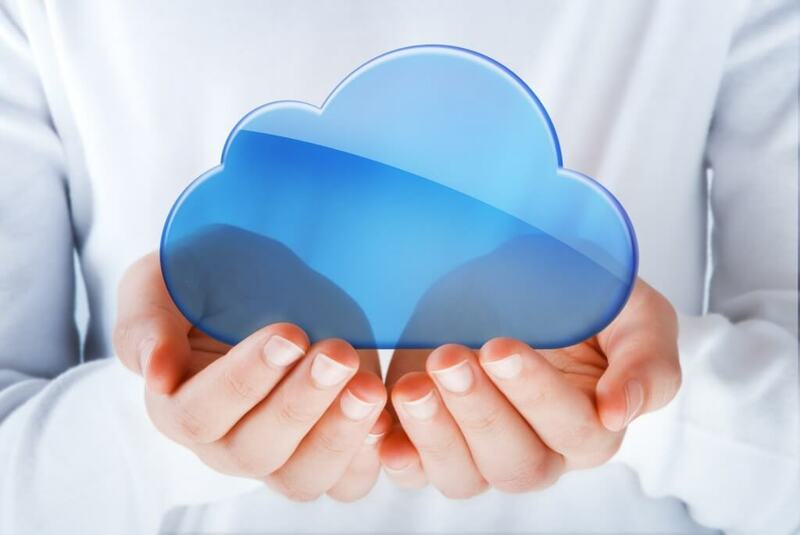 Harris CareTracker is built using cloud-computing technology, so you get instant updates, reliable connectivity, and access to complete global content — all for a lower total cost of ownership. From any Internet-connected computer, physicians can access a secure web interface that is connected to a network of labs, pharmacists, specialists and hospitals. With Harris CareTracker, the only IT requirement to allow authorized users to log in is a secure web connected PC or laptop. 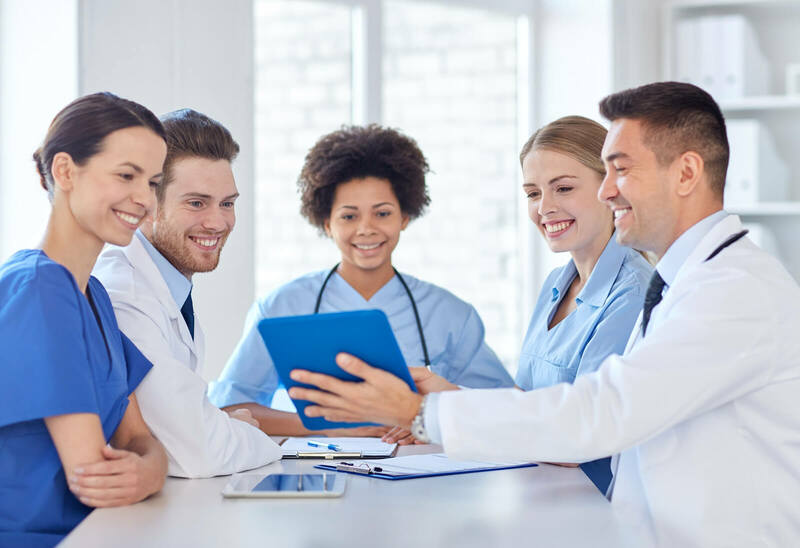 Once logged in, users have instant access to patient medical records allowing them to quickly perform clinical activities such as reviewing charts and patient populations, send and approve prescriptions, and message physicians across the care continuum. 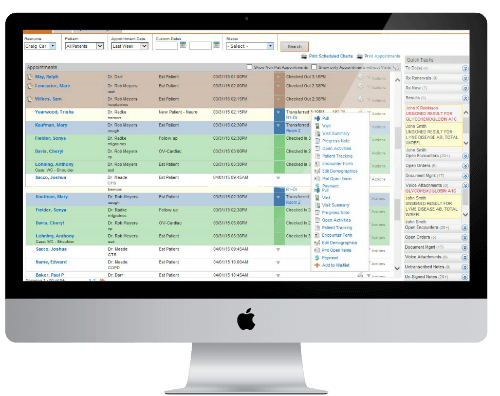 Harris CareTracker combines clinical, billing, and administrative workflows together, providing direct access to industry leading coding and compliance solutions. Call us today at 1-800-596-5387 or click here to request more info!